After Hours Stamper: Do you live in the Bay Area? How about a get together? Do you live in the Bay Area? How about a get together? How would you like to get together next month? I have a post up on SCS, you can find it by clicking here, basically we are trying to put together a fun stamp afternoon. The plans are to find an afternoon on a weekend in September, specifically we are looking at early afternoon (12 or 1) of September 13, 14, 20, 21 or 28th, to meet informally and casually and stamp for a few hours! (NOTE: from the looks of the responses on SCS we are most likely looking at Sept 21, a Sunday, early afternoon, this is not set in stone, but it seems to be the best date so far). We will meet at a GREAT spot in San Jose, A Work of Heart. It's an art/stamp/crop studio, filled with anything and everything you could ever want to use for your stamping. Here is a link to a list of what they have for our use. The owners of the shop are waving the listed fee for the use of their studio, we can have the room for free, as well as use of their non-consumables. You can bring your own consumables or purchase consumables at the shop. They will allow us to bring in food - whether you all decide to bring your own food and drinks or send me checks ahead of time for a Costco run, if you want me to make a Costco run please post a comment, I would imagine that $5 per person will allow us to get snacks and drinks. This is an informal relaxed gathering, just a chance to meet other local stampers and SCSers, and you can either bring a project you're working on (like Christmas cards!) or bring nothing and use whatever the studio can offer. You would only pay for consumables. With a short lead time (little over a month from now), I am open to other stamping suggestions. There is room for 27 stampers besides myself. Please post a comment if you are interested and what date(s) are acceptable for you! Thanks. As I noted in the post above, we are looking at the 21st of September, however that is still tentative. Please post a comment below if you are interested. Next week I will finalize the details and have a sign up sheet for the event (we are limited to 28 total stampers). 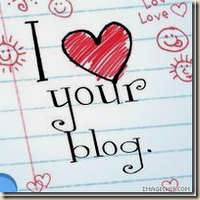 So now I need to award seven other blogs, so here goes. And of course all of my SBS sisters are included (and I noticed that most, if not all of you have already been tagged with this award).